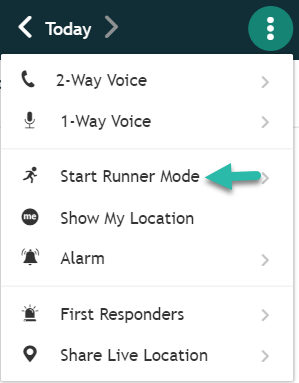 To enter Runner Mode click on the menu on the right hand side and click on "Start Runner Mode". 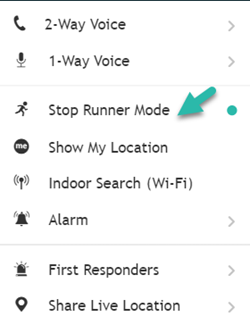 In order to stop Runner Mode, click "Stop Runner Mode". Note: Runner Mode stops if the app is idle for 15 minutes, to preserve battery life. If the app is closed, Runner Mode stops after 5 minutes.